• When the mind goes, so should the body. • Have a vision for your company to keep you going. • Employees are your most important asset. 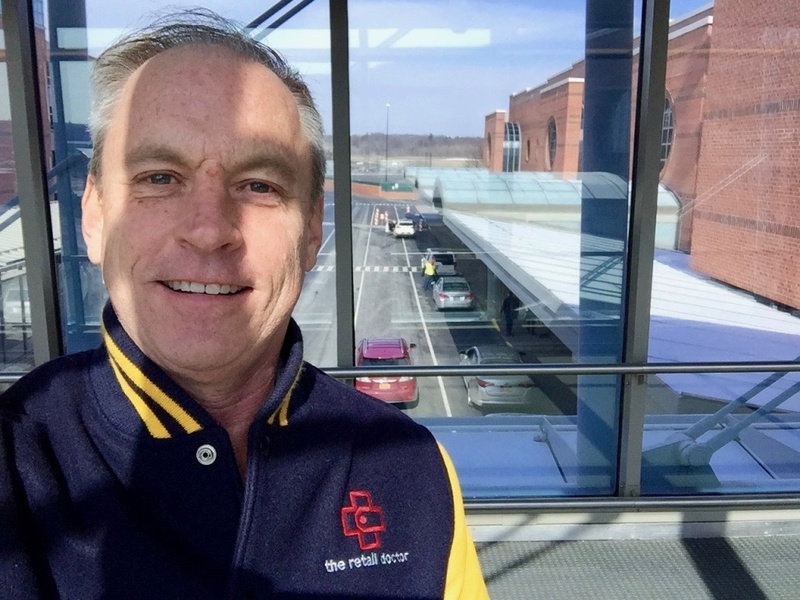 Bob: Hey, it's Bob Phibbs, the Retail Doc, and thanks for joining me. Today, I'm actually interviewing myself because many of you don't actually know some of the stories that I have told over the years. And I am in my 24th year in business. So I just thought I would fill you in today. So, you know, I started selling when I was a little kid. I sold chocolate door to door for fundraisers. I knocked on doors as part of the scouts in third and fourth grade to collect donations for the shelters. I sold Christmas cards in the middle of July, door to door. And I did a lot of those things, which kind of prepared me for putting myself through college by working in a shoe store. And I seemed to be pretty good at that. And, not only that, I changed to a different shoe store about midway through and did even better. So it was like, wow. And I was getting my degree at the time in conducting and with a minor in business. And I got to my senior year. I did my student teaching, and I walked in, and there were...they said, "Well, we only have two conducting classes you can take. We have three beginning guitar class." Like, Oh, well, how hard could this be? Even though I didn't play guitar, I could understand it. And so I walked in, and there are 30 teenage boys trying to play Stairway to Heaven on untuned guitars. And I said, "There's not enough gin on this planet for me to have this job." And my counselor's like, "Well, you better finish student teaching so you at least you get the degree." And I ended up with getting that degree, not using it but pursuing business. And I ended up working with a little startup that was selling cowboy clothes back in the 80's. Now, I know you may laugh at that, but it was very big. And there was a show called Dallas and another one called Dynasty, and it was quite the big thing to get. And another example that I found out, "Wow, I'm really good at this," and built that little company. We took it from about six stores to 54, the largest in the United States at the time. And I remember being there at a meeting of the owners, and one of them asked, "What's the company's greatest asset?" And I said, "Well, that's easy. It's employees." And he said, "Wrong." And I was like, "Wrong?" And other people went around the room trying to come up with something, and nothing worked. And finally, he said, "Our company's greatest asset is its customers." I was like, "Huh." So after the meeting, I went down, and I spoke to him, and I said, "You know, we built this company based on employees, and customers can go anywhere. They have no loyalty, but employees certainly do. Our employees, the most important asset, and I can't work for a company that's changed that model. I'm gone in two weeks." And I wrote the letter, and when I got home, and I set it in. And sure enough on that final day, I called the local radio station, and I asked them to play this song that was very big hit by Cathy Mateo, it was called, Walking Away a Winner." And sure enough, when the person came at exactly 5:00 to get my keys, as I'm walking out, she's singing, "Walking Away a Winner," and dedicated to...they dedicated to me on my new leg. And I took a little bit of time off. I wasn't quite sure what I would do. I'd been working 60, 70 hours a week, and I went to a Tony Robbins seminar. And Tony said, I mean, did a great presentation. But the one thing I took away from him was, "You better come up with a brand nobody else can." And I figured, "What do I do well? How did I do well?" And that's when I literally got home from the Universal Amphitheater, and I filed the trademark for Retail Doctor. And for first couple of years, I went through and did some kind of smaller gigs. And the one that I was most known for, of course, is Polly's Coffee and Long Beach, where smaller independent coffee roaster was going up against, not just one Starbucks 10 blocks from him, but they were about to open another one less than 100 feet from his front door. Loyal customers were saying, "This guy is going to ruin your business." And they started calling me El Diablo. But in the end, Mike is still in business and is still doing well. And because of that, this other company came to me, this little coffee franchise called It's a Grind. If you ever saw Weeds on Showtime, we were the coffee house that Mary Louise Parker was always sipping out of. And I was with that brand for about nine years and helped to take it from a startup pretty much to 135 franchise stores across the U.S. And I remember being in a meeting with the owner one day, and he was asking about the purple that was being used on the menu boards. And I said, "Well..." He said, "It's not the right purple." And I said, "Well, you know, once it's lit up, it will be." He's like, "But it's not the right purple." And I said, "Well, you know, once it's lit, it will be." And, you know, why we talked about this, we had much bigger problems, and he kind of made a big deal out of it. And then as I left, the opposite was, "Don't you want this copy of the gel?" And I'm like, "Not really." And he goes, "Then what the hell are we doing here?" And I was so upset. I went, and I got in my car, and I drove down to Huntington State Beach where they have a big nature estuary and I got out of my car. And there must have been like two or 300 birds flying over my head, and they were pretty much saying to me, "It's time to go. You really have to get out of here." And so I wrote my resignation. I gave them plenty of time. And when I...my last day there, I looked out my window, and there were probably, I don't know, 200 dragonflies. And a friend of mine had always said that the dragonflies in Asian cultures are all about good luck. And I had this huge swarm. Today, of course, I would have taken a picture of that, a video of that and shown everybody, but I knew that that was the right thing. Because by then, I was trying to do two things at once, and I was trying to be the Retail Doc on one side. I was meeting with great success, but I also invested in this company to try to build it into something bigger than, you know, some of its parts. And as the way things go, when I got out, it was absolutely the right thing to do. But I also realized that a lot of times, the mind goes before the body. And when I look back at some of the struggles I had, you know, my instinct was, "This isn't going the way you want it to go." And, you know, the bloom is off the rose that were, but I kept thinking I could muscle through it. And I would say to some of you who are listening to this today, you know, there's that one employee, you know, you do need to get rid of. That bitter Betty, that person that's just not very focused on customer service. I mean, even if you're married to her or him, you know there's something you need to do. There is something you need to face, and you think that it's not going to be noticed. But at the end of the day, it always is noticed. And I say the reason why it's so important is because you have to realize that you are the only one that's gonna change it. Nobody else will. So when I left that cowboy group of stores, I realized at that moment that nothing was gonna change. And the same thing when I left the coffee house, nothing was gonna change. And so, you know, I built the Retail Doctor and did really well. I had some amazing clients. Well, I still do have some amazing clients. 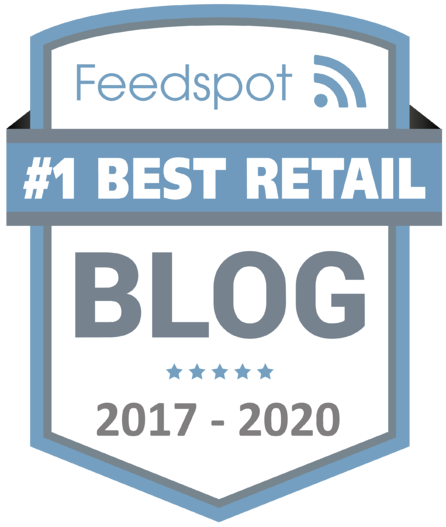 I have a lot of amazing clients, ones that you would know, certainly on the Fortune 100 list, and luxury retailers, and midsize retailers, all the way down to individual mom-and-pops. But, you know, in 2008, I had moved, decided... I read a letter, I found a letter that I had written to my dad, and I'd said, "I'm gonna retire when I'm 40 to the Mid-Hudson Valley." I've never been there, but I know I heard that it's supposed to be really beautiful. And I'm reading that letter when I'm 50. And so I said, "Well, if I don't do it now, I won't do it." And so I pulled up everything and moved from California to New York, the Mid-Hudson Valley, got this old fixer-upper home that overlooks the Hudson River and thought it would be great. And it is has been great. But about that time, I still hadn't sold the house in California and already had a mortgage on the one in New York, and the crash happened in 2008. Now, what happened for me was within the space of about three weeks, I lost four of my biggest clients. And one of them, I called up in February, and I just said, "I know you canceled, you know, several of the programs we had going, can you tell me...you know, when do you think we might be able to get back on track?" And my client said, "Well, Bob, our CEO has a policy that no one will be let go. And I can tell you that our engineers, our product engineers are all striping the warehouses right now because there's not one order in them." And those warehouses are the size of football fields. And that's when I went, "Oh, my God, this is really a big deal." And it was a big deal. And I started to panic myself, and some of you might be like that as well. That you reach that point where suddenly everything is upside down, and, "What am I gonna do?" And I turned back to an old recording that I had heard back in my days in Cowboys when I was listening to Zig Ziegler, and Tom Hopkins, and Earl Nightingale, and he made a recording called, "The Strangest Secret." Right now you can find it on YouTube. You can buy it yourself or listen to. It's one of the greatest motivational recordings done probably back in the 60's if I'm not mistaken. And he makes the point that the strangest secret is we're about as happy as we make our minds up to be. And I listened to that, no lie probably 10 or 12 times a day. And I knew if I didn't keep my attitude up, I would be sunk. And I listened to that religiously over, and over, and over again. And to the part that I can still probably say it with his same slow, measured tone. And to this day when things happen, and I know I need to manage my head, I go through, and I listen to it again because, you know, it's that old thing, garbage in, garbage out. So many times we get struggles, and we get challenges, and what do we end up doing? We end up calling our friends, and our friends tell us, "Oh, that's horrible, poor you." And we end up devolving into this looking backward like the past was somehow better and magical. And everything was better then, and why can't it be like that? But, you know, part of maturity is you wake up, and you realize that the power that you have to leash in yourself is to realize that the past couldn't be any different. You have to give up the hope that somehow, the past could or will be different. And when you do that, you can pretty much be in the moment. And when you're in the moment, then what you're able to do is to just start thinking, "Well, what if we could?" Because that's what I started doing. "What if I could?" This was back in 2009, and I started thinking, "Well, what if I could do something? What would it be? All right, well, I will write another book." And I put all my energies into writing another book, and I got a contract with Wiley, that's, "The Retail Doctors Guide to Growing your Business." And then I started looking at, "All right, so what are the trends that are coming up?" And one of them was...online training was gonna be huge. And I looked around at an awful lot of places, and I said, "For goodness sakes, I don't wanna do this with a pixelated head." And you're just watching some strange video. I'm bored. They're bored. It sounds boring. Until, finally, over by the next year, I found a platform that was interactive, that would allow me to actually train as if I was a human person training an individual employee. I'd ask questions. They'd have to respond. And each of those different answers would give everybody a little different learning path. And so I decided to take all of the sales training I've been doing for years and years, and put that online into salesrx.com. And what I learned is that I had an awful lot of information, and I was able to actually add value to my regular customers. Because what I would typically have if someone would hire me to say, "Hey, could you come and train my staff?" And I would come and I, let's be honest, I put on a pretty good show. I'm not full of myself, I just kind of do. But then they would ask at the end, and they'd say, "Oh, so what's the next step?" It's like, "Read my book." And that really didn't help them answer it because all I was doing when I, and still to this day when I do a speech, all I do is I'm exposing you to the content. Everybody understands it, but it's really hard to do it. It's kind of a difference between you looking at Serena Williams playing at Wimbledon and telling yourself then, "Oh, I can play at Wimbledon," till I understand it's like, "No." Until you actually do the backhand serve 500,000 times till it's automatic and you don't have to think about it, you've just been exposed. You have to train, and that training takes practice. And that led me to also talk to my clients that there's really four pillars to great training. The number one is you have to have great content, which I think I do. I get the highest increase of sales at South Coast Plaza, still the number one mall in the world. Number two is you have to practice. You have to be able to practice it in between learning. So that's kind of like, think of watering a plant. You put just enough water on the plant so that it can absorb it. Because if you put too much, it just runs out the bottom, or God forbid, you just try to jam all of it on the plant, and you drown it, and it can't absorb any of it. Number three is you have to be able to roleplay. They've gotta be able to get quick wins, somehow, that they can say, "Oh, I did that." Not just that they understood it. And then from there, you have accountability. Can you hold them accountable for what you've taught? And SalesRx is able to do all of that. And and now if I go out, and I do online...excuse me, in person, retail sales training, which I still do, I make it a requirement that they have to follow up with SaleRx, otherwise, you're giving yourself the illusion that you can sell when it really takes much more detail than that. So those are kind of my big stories. And I encourage everybody to really think about, employees are your greatest asset, that when the mind goes, the body should, and to understand that the real mission of, I think for maturity and for being a great business, is to manage the thoughts inside your head and ask better questions, questions that bring you into the future. What if we could? To me, those are the strongest type of questions I can answer. Because when I find myself thinking about that, it leads me to a new way to develop a new program, or it leads me to a new way to write a blog post or any of a number of things. But you have to give up the past, thinking that the past was somehow rosy or better or something could change. Because when you're free from that, you're actually driving the car of your body, and you're not letting the wheels, you know, you're not just sitting in the back hoping you get somewhere because there's nobody driving it. 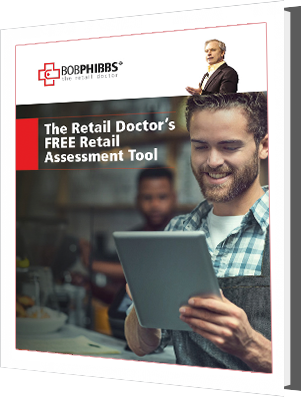 So I hope this gives you a window on what makes The Retail Doctor, The Retail Doctor. This recording originally was made and somehow got corrupted, so I had to go back in in October and re-record it. And, hopefully, if you heard the first one, you heard something new. If you never heard the first one, you've got an idea of still what makes The Retail Doc tick. I hope that you listen to other podcasts because I try to uncover this with all of my guests, and I appreciate you listening for me today.